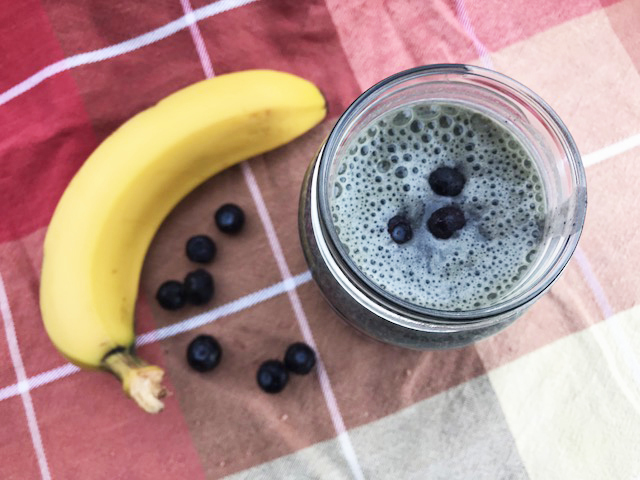 My morning blueberry smoothie always gets me ready for the day. Our house is quite hectic on weekday mornings. My husband and I are feeding the kids, getting lunches finalized and trying to make it out the door on time. For the past month, I’ve been skipping traditional breakfast and making a delicious morning smoothie. When I first started doing this, I thought I’d be hungry within one hour but I soon found out that my morning smoothies were keeping me full until lunchtime. I often double my recipe and have smoothies ready for two days. I absolutely love this tasty smoothie. I feel energized until lunch time and like that I get a full serving of greens and fruit in this morning smoothie. I’d love to know, do you make morning smoothies? I’ve never had a smoothie but do love blueberries so this would be one I’d like. I love coming up with new uses for the frozen berries. I’m trying to be more frugal and less wasteful! I have never tried oats in my smoothies. O bet it would make the texture a bit thicker though. 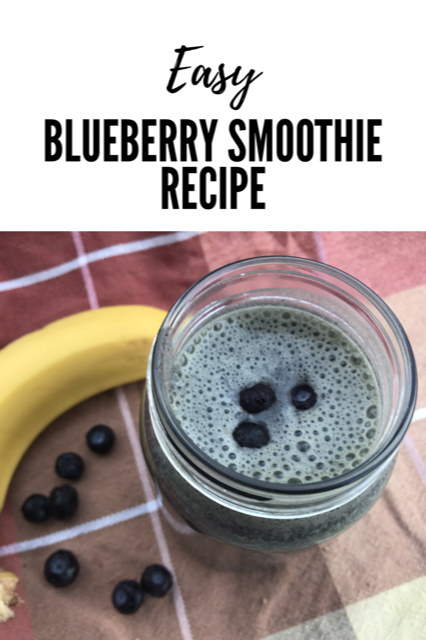 We’re getting back into smoothies and this is a great recipe to start with, love blueberries ! I’ve never tried making smoothies with coconut water but I would love to try it. 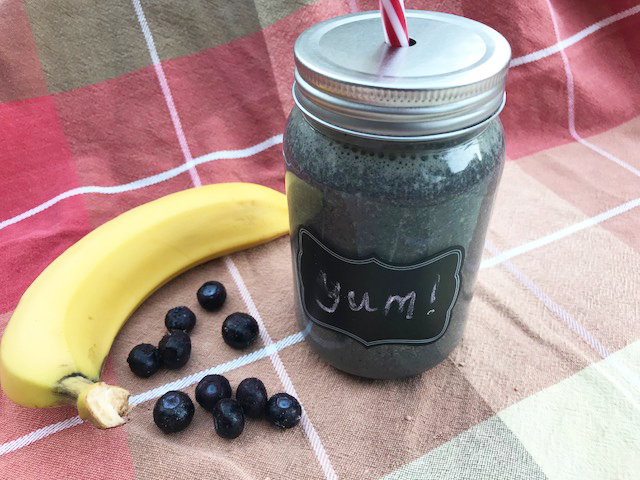 I love that it adds even more nutritional benefits to this already amazing smoothie! I love to making smoothies for breakfast! This sounds like a delicious recipe that i need to try! I am trying to get back into the smoothie routine. I need to grab some protein powder to up the nutrition a bit. Thanks for the idea! I make smoothies every day! I love how easy they are and I use spinach in mine all the time because it gets hidden in all the other flavours and I still get my healthy greens in. I bought a big container of protein powder at Costco and HATE it. So looking for a smoothie that will mask it. Will try this, thank you! Great looking smoothie I could have daily. This smoothie sounds really yummy, thanks very much for sharing the recipe. I love my morning smoothies but I haven’t had one for a long time, I think it’s time to get back on track! You can’t even taste the spinach Kristen! It’s such a good smoothie! You must try it!